Dating Pro team is happy to announce the release of the updated mobile module. It is an add-on that offers basic functionality of a fully-featured dating website: sign up, searches, viewing profiles and photos, photo gallery, exchanging emails, posting comments on walls, multiple languages support, re-brandable design and more. 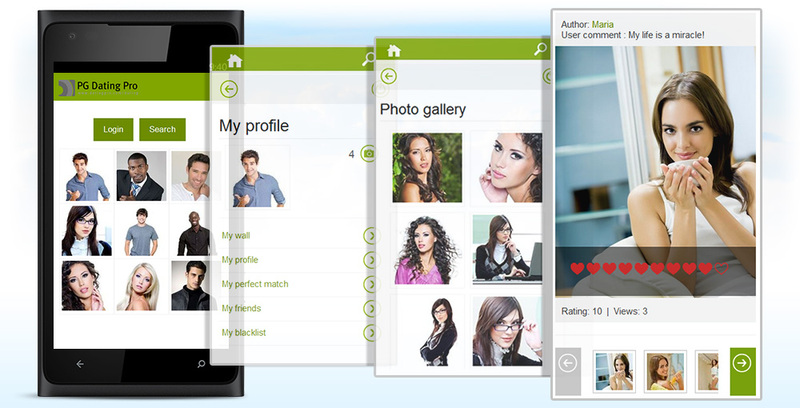 ★ Customers who run a 2013.2 version of Dating Pro can update their mobile version for free. Contact Support team for instructions and update script. Mobile module will help you establish mobile presence of the main dating website and attract more visitors.